Our website may contain links to other websites. We do not have any arrangement with the operators of these websites. We do not endorse, approve or recommend any of the information, material, goods or services referred to on any of the linked websites. Gowland Legal makes no representation or warranty as to the accuracy or any other aspect of the information or material on those websites. While we have made every effort to ensure that information is free from error, Gowland Legal does not warrant the accuracy, adequacy or completeness of information and material on this web site. All information is subject to change without notice. ​Gowland Legal does not and cannot guarantee that the website or third party websites will be free from viruses or other defects. Gowland Legal does not and cannot guarantee that access to the web site or third party web sites will be uninterrupted. We strongly recommend that prior to using any downloaded file you carry out an appropriate virus check. The information and other material on the Gowland Legal website is provided for your assistance and should not be relied on as legal advice or as a substitute for legal advice. The communication of information from this site does not and should not be taken by you to give rise to a Lawyer-Client relationship between you and us or any other party. Gowland Legal takes privacy and confidentiality very seriously. We are also bound by and comply with the Australian Privacy Principles derived from the Privacy Act 1988 (Commonwealth). Gowland Legal is an organization that respects and is considerate of the individual’s right to privacy. The individual details requested on this web site will be used for administrative purposes and for purposes related to the query or service for which you have completed the contact form. ​We will also use the information for communicating information to you from Gowland Legal regarding any of our services that are deemed appropriate to your interests and needs. ​Gowland Legal will not make this information available to any third party unless it is necessary as part of the provision of this service.  ​By submitting this form you are providing the Firm with consent to use your individual details for such purposes. The Information that is provided to us is stored on computer and paper based files as appropriate. We utilise cloud computing services to store Information we collect. We endeavour to keep all Information safe by taking all reasonable precautions to protect Information from misuse, loss and unauthorised access, modification or disclosure. Very occasionally in the course of providing legal services and conducting the effective management of our business, disclosure to third party professionals and service providers may occur (e.g. barristers, document reproduction service providers, information technology support and debt recovery agents). We have contractual arrangements in place with all of our service providers to protect personal and sensitive Information up to the same standards as if we stored the Information ourselves and to prevent them from using the Information for any purposes other than our own. As part of what we hope to be an on-going professional relationship with our pre-client and existing client base, we may from time to time send out information related to the other legal services that we offer. We do however respect the wishes of individuals who do not wish to receive such material from us in the future and have implemented simple ‘opt-out’ procedures that can be activated within the promotional e-mails that we may send from time to time. 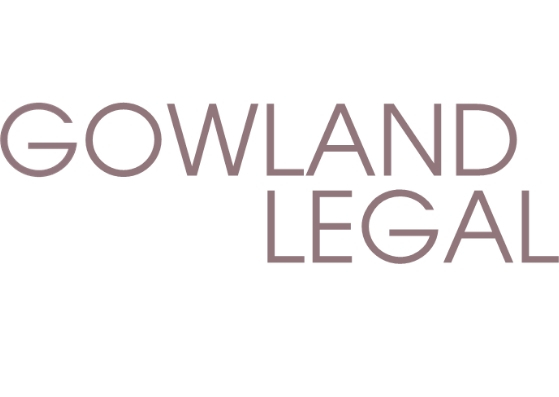 Please contact Gowland Legal if you would like to place a link to any part of the web site.